A decade or so later, Gomes decided to explore the industry from the other side. She bought an event planning company and went into business with a friend. The company was successful and the duo planned events throughout the city, including plenty at the Edmonton Convention Centre. “It was great, but we worked all the time,” she says. After a few years, Gomes knew she had to prioritize her work-life balance and sell the business. 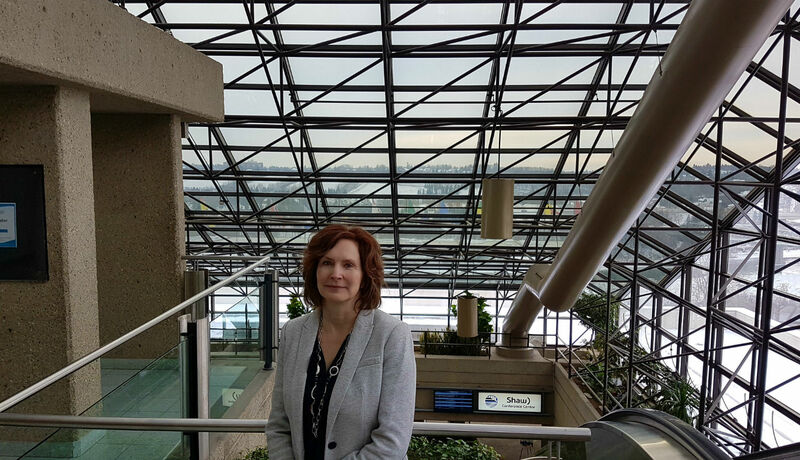 Once she was back on the market, the Edmonton Convention Centre immediately rehired her. All of the Edmonton Convention Centre’s events contribute to Edmonton’s cultural fabric, as well as the city’s economy. As a division of Edmonton Economic Development Corporation (EEDC), Gomes and her team work with the organization’s other divisions, which includes Edmonton Tourism, to attract more events to the city. Together they pursue national and international conventions, which have the biggest economic impact on the city. “We work very collaboratively with our partners and local hotels as we all benefit from bringing new events here,” she says.